To attend site and remove the existing vehicle access bridge over the River Avon, which had been condemned due to the supporting steel beams under the bridge which were built into the banking abutments on both sides of the river. Many different permits, scaffold calculations, RAMS, Construction Phase Plans etc had to be submitted to the Environmental Agency for approval (this process can take up to 16 weeks). Due to our robust H&S paperwork and ISO accreditations the permits were granted within two weeks of the clients work order. The works fell under JCT Form of contract . 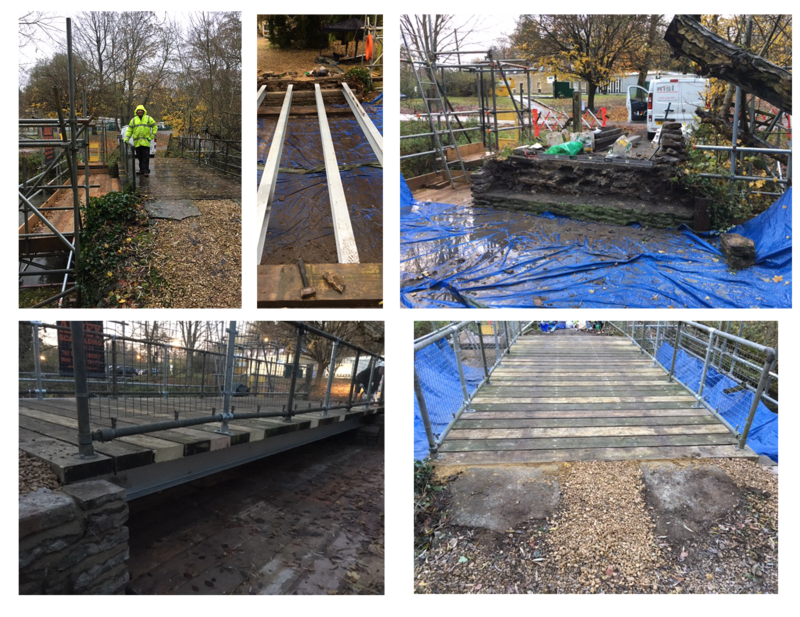 Working over the River Avon had its challenges as from the first day on site a weather warning had been given and also a flood warning for the area which meant the scaffold had to be removed within 24 hours. Fortunately the river peaked early on the Tuesday morning so the river started to subside and the works continue. A day to day diary was sent out to the client, architect and the Environment Agency until the works were successfully completed and handed back to the client to reuse. The site where the works were carried out are depicted in a Joseph Mallord William Turner painting from 1791 showing the house with water wheel and the Abbey in the back ground.